7 Projects for M.S. Construction Services Inc.
23 Reviews for M.S. 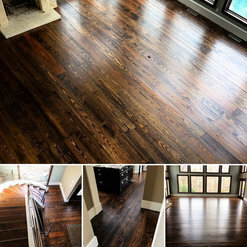 Construction Services Inc.
Mike and his crew did a beautiful job installing and finishing hardwoods on the entire main level of my home. Installation was done quickly and Mike was quick to communicate and answer any questions I had. 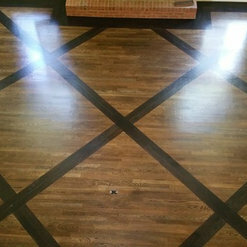 I couldnt be happier with the finished product and would use MSCS for any future flooring projects! I can't say enough good things about Mike and his team. They did an excellent job on installing our new floor and stairs and refinishing/touching up the existing floors to match. Most contractors tend to rush the job for a quicker finish, but Mike was very detail oriented, ensuring the job was done to our specifications. Excellent job. Fair price. Arrived on time, finished on schedule. Mike is very easy to work with. Always answered texts in very timely manner, even on weekends. Will happily recommend him to my friends. 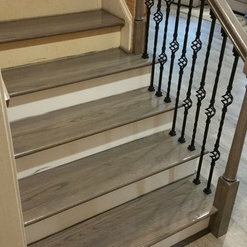 Mike refinished the floors in my house, made a few repairs to the floor in the process and installed stair railings. He did a fantastic job! He was so easy to work with and very thorough during our initial walk through of the house. I couldn’t be more pleased with the work they did. My floors look incredible and feel so durable! I would highly recommend Mike and would hire him again if I ever have the need. Mike renovated hardwood floors in our newly purchased town home and I am happy to recommend his work. To give an estimate he visited the property, spent around 30m taking measurements, discussed what we wanted to do and gave a quick estimate right away with the official quote emailed soon after. He was thorough and answered all my questions. We selected Mike based on his upfront pricing, responses to our questions as first time homeowners and overall feel. Since this was part of a bigger remodeling project done by an unrelated contractor Mike had to adjust his schedule to match with other jobs being done. He worked in several phases to patch holes created by demolished walls, resurface the entire floor, apply coats and install shoe molding. 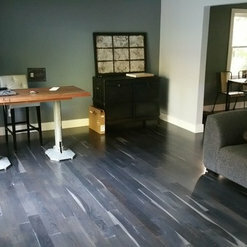 We went with natural finish for our red oak floors and are happy with the end result. 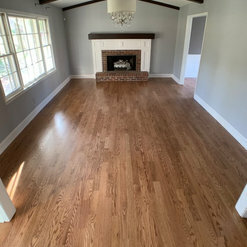 I recommend Mike because he was professional, cared about the quality of work he did, answered our questions and we are happy with our floors. 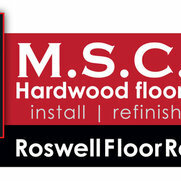 You won't find a better floor guy in the Metro Atlanta area. I've had Mike out to install site finished hardwood floors on two different occasions and I couldn't be happier with the outcome. 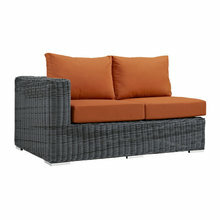 He is knowledgeable, honest, and takes care to ensure the job is completed on time and to perfection. Highly recommend M.S. Construction Services. Hired Mike and his team to refinish and install hardwood floors on our first floor. They did a great job. Finished product is beautifu. Michael has completed many jobs for me. I have always been impressed with the quality of their work, and they always seek to please. As a contractor, it is important that my customers are happy and that has always been their aim is to make me and my customers happy. These guys were not only fair on price but did an amazing job. They were clear on expectations. They replaced all my quarter round. My floors are dark coco and my trim in white. There was no overstain. The floors are smooth and the finish was just as I requested. Finally I asked him to match up with my stairs...perfect again. I can’t say enough. We are doing renovations to our 80's split entry and replacing the carpet, stairs and railings were top on our list. We couldn't be more please with Mike's timeline, communication, education and quality of work. Thanks for helping us turn our house into our home. Thank you for the opportunity to offer our services. It was a pleasure working with you guys! M.S. Construction Services sanded and stained the floors in our 95 year old bungalow. The floors had quite a bit of wear and tear, as well as some staining and damage in some places. We considered a few different corrective methods, but ultimately, after meeting with a few contractors for estimate, we were most impressed with Mike’s knowledge and advice. We also found the price to be reasonable and I’m happy to report that the floors now look wonderful. The team was prompt, polite and thorough. Highly recommend. Mike is great - very detail oriented and easy to work with! Amazing work and craftsmanship. He has done several jobs for me and every one has been exceptional. 1 Ideabook for M.S. Construction Services Inc.
kayleigh thompson reviewed M.S. Construction Services Inc. 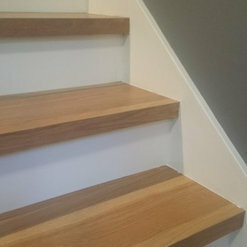 Commented: Stair treadsThese are solid red oak steps with a custom stain to match the LVT installed in the basement. 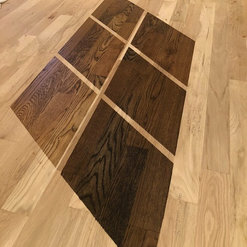 Commented: Best finish-in-place oak floor finishBona traffic HD. Best floor finish on the market.